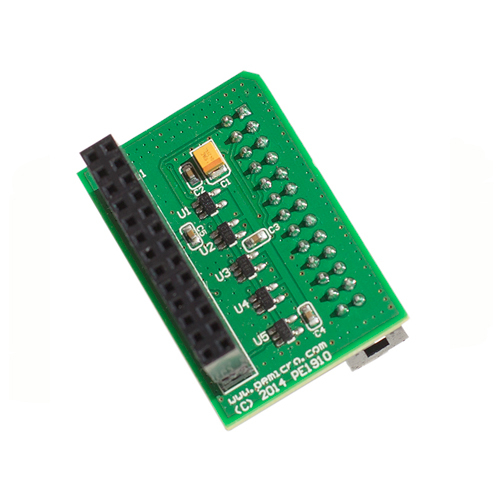 This 26-pin synchronous adapter has integrated electronics to synchronize the ColdFire debug communication signals to the PSTCLK signal generated from a ColdFire target. Note: The previous version of the adapter integrated a ribbon cable. The current version does not integrate the ribbon cable, it should be provided by the user. This adapter may be used with the Cyclone MAX, Multilink Universal and Tracelink products to synchronize their asynchronous outputs. Please note that you lose trace capabilities on the Tracelink. Synchronized debug communications signals are required for a few of the older ColdFire devices including the MCF5272 and MCF5206(E).